And Just Like That, the Cardinals are in First Place – How Did That Happen?! If you watched the first two weeks of Cardinals baseball and then bailed, you’re probably scratching your head a bit at the water cooler today. Surprise! That resilient baseball team from St. Louis is in first place atop the NL Central. How in the name of Stan Musial did that happen? 5. John Mozeliak reasserted himself. 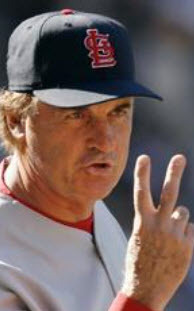 St. Louis opened the season 3-and-9 through April 16th, due in large part to Mike Matheny being…well…Mike Matheny. Stubborn. Overly loyal to veteran players. And oddly out-of-touch with the organizational message of defensive improvement. 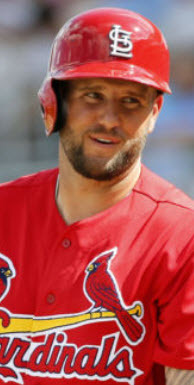 He refused to remove an under-the-weather, underwhelming Jhonny Peralta from the lineup despite the third baseman’s obvious ineffectiveness, continued to play Matt Adams – a career first baseman – in left field regardless of his inability to contribute offensively, and left infielder Kolten Wong in the lurch just weeks after being told he was the starter at second base – and then he wasn’t. The results were atrocious. Bad, sloppy baseball. Punchless offense. And the club’s worst start in decades. And then the GM got involved. When the team came home on April 17th, Mike and Mo had that now infamous come-to-Jesus meeting. The Matt Adams experiment in left field was over, Peralta was benched – and eventually disabled – and Wong was allowed to emerge as the everyday second baseman. The results were predictable. The Cardinals immediately swept the division-rival Pittsburgh Pirates in a three-game set and then busted loose with a 14-and-5 record from April 17th through May 8th. 4. The schedule relented. The Cardinals were bad over their first two weeks, no doubt. But their opening schedule didn’t help much, either. After kicking off the season against the World Series Champion Chicago Cubs, St. Louis hit the road to play the World Series hopefuls in D.C. and the reincarnated Bronx Bombers in Yankee Stadium. Sure, Cincinnati came to St. Louis ready to give the reeling Cardinals a brief respite before leaving town, but someone forgot the tell the Reds. They greeted St. Louis with a 2-games-to-1 series defeat that left a bitter taste in the mouths of the 25-man roster flying east. The opening series against the Pirates in Busch Stadium was supposed to be a gritty, early-season battle between two opponents likely to wrestle over a Wild Card spot in September. Instead, one of the Bucs’ best players, Starling Marte, was slapped with a hefty suspension after testing positive for PEDs, and the shock left Pittsburgh teed up for a new look Cardinals’ lineup. St. Louis swept the Bucs with a 2-to-1 win in each game of the three-game set and then went on to play their next 18 games against fairer foes. They beat the rebuilding Brewers 4-games-to-3, the floundering Blue Jays 2-games-to-1, and swept the transitioning Braves 3-games-to-none in Atlanta. Even those unpredictable Reds contributed a Cardinal win in a rain-shortened series to help the Redbirds finish April a .500 team. Yes, the Cardinals got better after Mozeliak’s intervention, but give the schedule an assist. 3. Kolten Wong relaxed. When the Cardinals drafted Wong in the first round, most saw a potential All-Star at second base, a member of the St. Louis core for years to come. That may be his future, but his past would beg to differ. 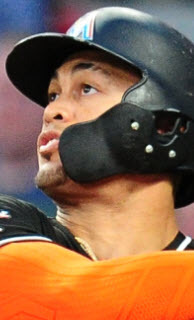 Plagued by a tendency to obsess over every little mistake – in the field, on the bases, or at the plate – Wong found himself in and out of the Cardinals’ lineup and unable to find the footing he needed to improve. He needed consistency to feel confident and confidence to play consistently. But those days are behind him. The once past-focused player who seemed to be chasing the future is now enjoying the present. In 19 games since Mozeliak stepped in, Wong is slashing .329/.413/.529 with nine RBIs, 13 runs scored, seven doubles, two triples, and a 13-game hitting streak. 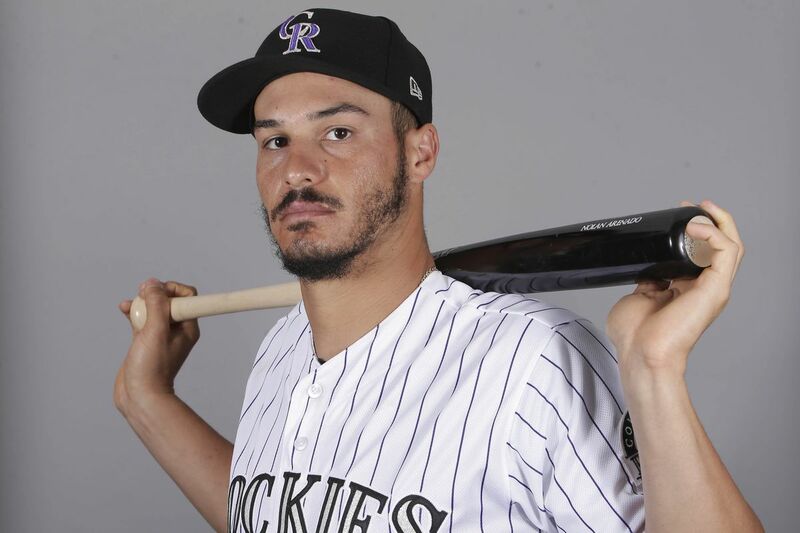 He’s playing every day as the clear starter at second base, and he’s even earned the right to hit leadoff – a spot in the lineup he once coveted – in Dexter Fowler‘s absence. Whether it’s bunting for hits, working full counts, or getting clutch hits, the new Kolten Wong appears confident and comfortable. The Cardinals, finally, feel the same. 2. Jedd Gyorko rose up. Gyorko comes in at number two, but when it comes to factors within the Cardinals’ control, he’s number one. 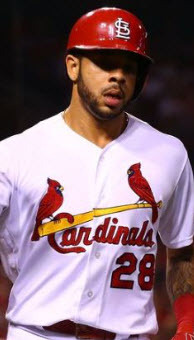 The unexpected rise of the new St. Louis third baseman has not only filled a sooner-than-expected vacancy at a corner infield spot, but his bat has solved the cleanup conundrum hamstringing the Cardinals since Stephen Piscotty tinkered with his swing this offseason. In 17 games since the Mozeliak Moment (let’s make that catch on, ok? ), Gyorko is hitting .377 with a .424 OBP and a .721 slugging percentage. 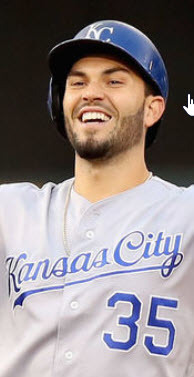 His four home runs, seven doubles, and nine RBIs have provided the extra-base pop St. Louis sorely needed in the four-spot. Even Peralta recently acknowledged that the play of Jedd Gyorko – otherwise known as The Fleet-Footed Mule – will likely force the veteran infielder to a bench role when he finally returns from his disabled list stint. Gyorko may eventually play himself into the starting third baseman role of the future, but for now he’ll have to settle for a more short-sighted role…regular season savior. 1. The Chicago Cubs regressed. Nothing fancy here. The Cubs are succumbing to the challenges posed by an aging pitching staff and a deep postseason run, the unpleasant flip side of playing during much of the rest of the league’s offseason. 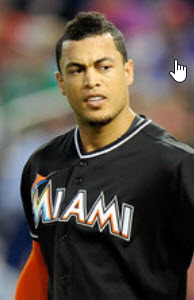 They’re also discovering the effects of a sinister schedule, much like their NL Central rivals in St. Louis. After a strong start to the season, the Small Bears lost a series to the Red Sox 2-games-to-1 and were swept by the bashing bats of the New York Yankees. And it won’t get easier from there. 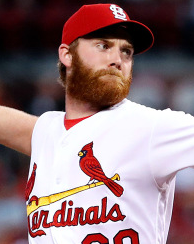 Today, Chicago plays a double-header against the red hot Rockies, the start of a three-game series, before heading back to Busch Stadium to face the surging Cardinals, a team heading in the opposite direction as the media-darling champs. Hold on. Things are about to get interesting in the Central. *Honorary Mention – The Cardinals’ starting pitching staff. Despite disappointing performances from Adam Wainwright, the rest of the staff is going strong. Mike Leake looks like an All-Star with his team-leading ERA, and even Carlos Martinez has righted the ship after ditching those dreadful braids. They’re showing the rest of the league why they’re considered the backbone of this St. Louis baseball team.